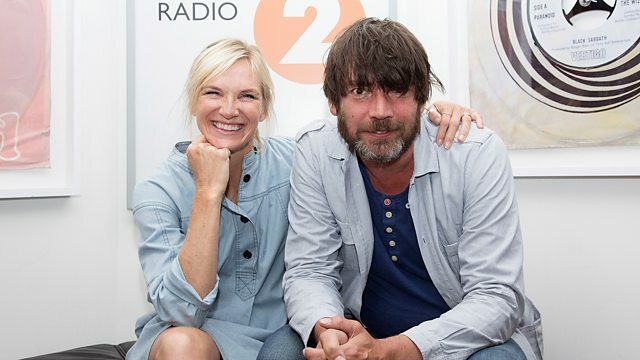 Alex James, the musician, producer, cheese maker and festival organiser picks his Tracks of My Years with Jo Whiley. Alex James the cheese maker, festival organiser and musician most famous for playing with Blur picks the Tracks of My Years with songs from Spencer Davis Group, New Order, Wham! and Elbow. Alex first picked up the bass guitar in 1984 and after meeting Graham Coxon at Goldsmiths College, became the bassist in Blur alongside Dave Rowntree and Damon Albarn. Blur went on to become one of the most successful and influential British bands of recent years. The band’s eight studio albums all topped the charts in the UK, generating numerous hit singles along the way including Country House, Song 2 and Beetlebum. Blur’s 2015 return with the critically acclaimed number 1 album The Magic Whip saw the band enjoy the widest international chart success of their career ahead of a sold-out world tour and a triumphant hometown show in London’s Hyde Park. Alex James has also worked as a songwriter and producer with artists including Marianne Faithfull, Florence & The Machine, Joe Strummer, KT Tunstall, Sophie Ellis-Bextor, Bernard Sumner and Kevin Rowland, as well Stephen Duffy on Me Me Me and Fat Les on the massive 1998 hit Vindaloo. Alex’s passion for cheese is well-known and his range of award-winning cheeses includes Blue Monday, Bleu, Concorde and The Universal. He has hosted the food and music festival The Big Feastival on his farm in Oxfordshire every August since 2011 and last year saw the event hit an all-time high with a record breaking crowd of 25,000 people watching bands including Basement Jaxx and Clean Bandit as well as Chefs Raymond Blanc and Pierre Koffman.